Jacque's Outlander block, a photo by Pinyon Creek Stitchin' on Flickr. I have finished Jacque's Outlander block! :) Yeahhh! 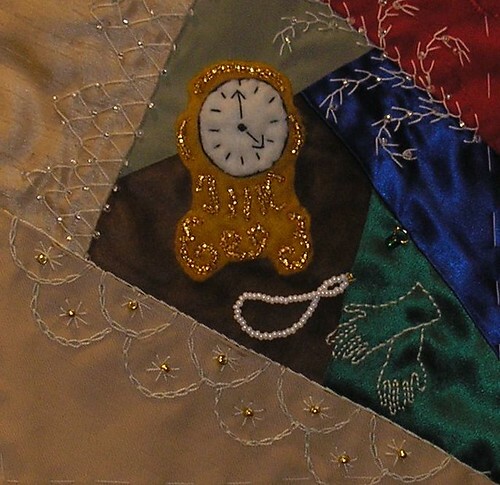 I did some fancy seam treatments and added an antique clock (for time travel), Claire's pearls, gloves and an emerald ring. I hope you like what i've done Jacque!